« Should Villagers Join More Than One Savings Association? 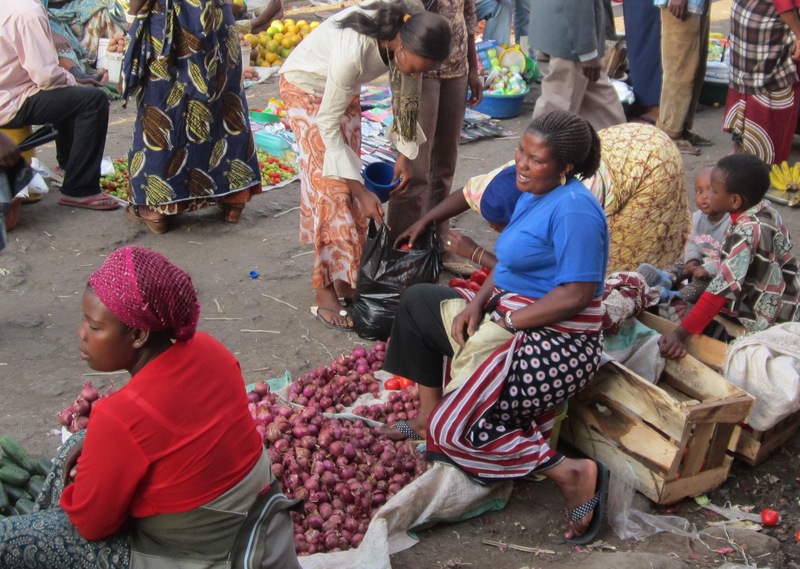 Arusha Women's Market. Villagers save at home from one harvest to the next, losing a lot of their savings. The second afternoon of a three-day strategic planning workshop for a rural credit union in Kilimanjaro region. Five board members and the manager have just completed a pilot market survey in their village. Their board room is spacious and airy – though one wall is missing, and a kid goat sits comfortably under the manager’s chair. They report back on what they have learned. SACCOS in Africa have quality savings products on their books. But villagers rarely use them. NGOs and governments just want SACCOs to deliver more credit. And in microfinance we ignore directors like these because they do not quickly absorb our MBA concepts. I conducted this workshop at the invitation of USAWA, a nascent SACCOS federation in the Kilimanjaro region. Only one participant had a university degree (in agriculture) and most had not finished high school. But they were a pleasure to work with, quick to pick up, and immensely hospitable. We give educated urbanites the skills they need to run financial institutions; why not smart and committed villagers? Thank you for sharing. This article is really interesting!